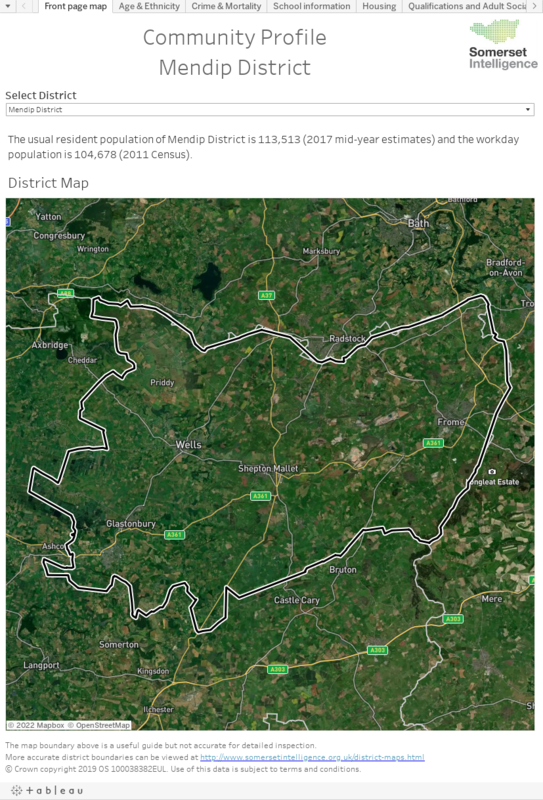 Updated District - With the formation of the new Somerset West & Taunton District these profiles have been updated with the new District information in advance of it taking effect in the Local Elections in May. Select the District from the drop downs below to get information and comparisons of the area. You can use the download button at the bottom of the page to save the profile as a PDF. Under the charts and maps you will see a ‘Download’ button, click it and select PDF. When the Download PDF window comes up make sure Portrait is selected under Layout, Paper size is set to A4, Scaling to Automatic and ‘Sheets in Workbook’ selected under Content. Click the download button and after a few seconds, when it tells you the PDF is ready, click the download button again.